With Telegärtner’s new fiber optic outdoor patch cords, devices outside of a building can easily and economically be integrated into the data network. The new 2-fiber cords come with the common LC duplex connector. The outdoor cable used in these cords is weather-proof, water-tight and UV-resistant. It is available with OM2 multimode fibers for data rates up to one gigabit per second and with OS2 singlemode fibers. The outdoor patch cords can be ordered in lengths between 10 and 150 meters. The new outdoor patch cords can be used to directly connect devices as well as outlets and patch panels. What do the connections to a pole of a mobile radio base station, to a microwave link on a roof, to an IP camera surveying the parking lot, to a gatekeeper’s house and to a display panel in front of a building in common? Right, the link length in most cases exceeds the 90 meters that EN 50173 recommends for copper cables by far. 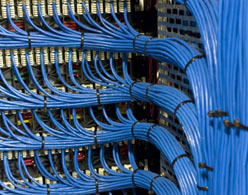 Optical fibres would be ideal to do the job, but installing a universal indoor/outdoor cable containing six or twelve fibers is no fun, and the patch panels to terminate the cable consume quite some space. A ruggedized, extra-long two-fiber patch cord would indeed come in very handy. 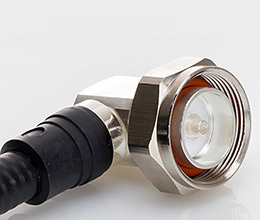 As a customer-focused system supplier, Telegärtner adds such cords with the common LC duplex connector to its comprehensive product portfolio. The outdoor cable used in these cords is weather-proof, water-tight and UV-resistant. It is available with OM2 multimode fibers for data rates up to one gigabit per second and with OS2 singlemode fibers. The outdoor patch cords can be ordered in lengths between 10 and 150 meters. Telegärtner’s new fiber optic outdoor patch cords. Using the standard LC duplex connector, they can be connected to outlets as well as to electronic devices. The new outdoor patch cords can be used to directly connect devices as well as outlets and patch panels. Customers who need cables with weather-proof and water-tight connectors can choose from the vast TOC outdoor connector portfolio with TDC, FXC, RBC and FEM housings – and of course the well-proven metal housing rated IP68. Telegärtner has the new fiber optic outdoor patch cords already in stock to fulfill customer’s orders in a most flexible and quick way.